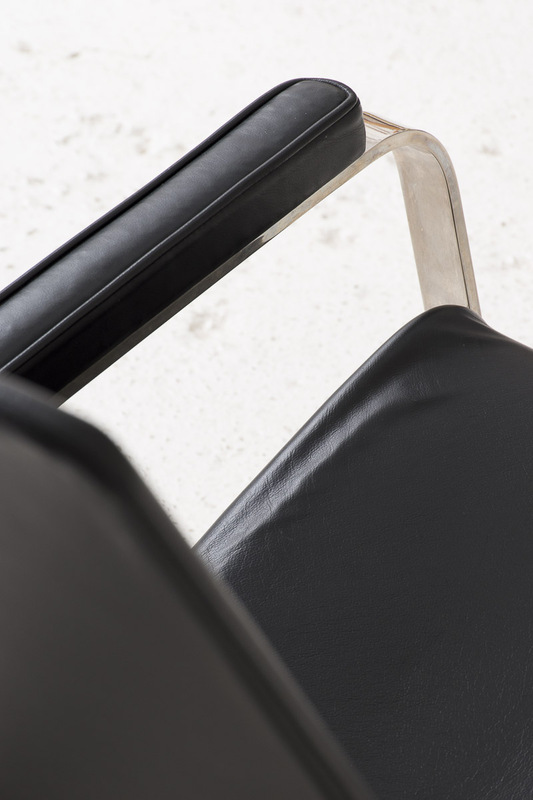 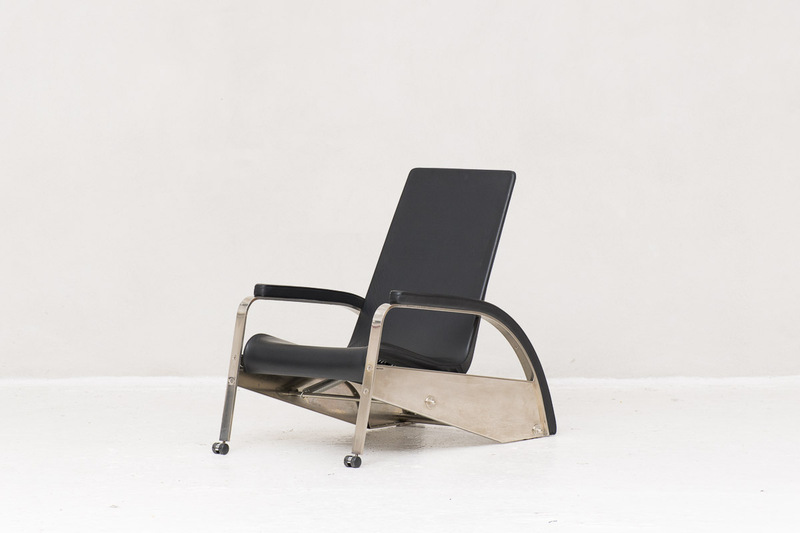 ‘Grand Repos’ D80 easy chair designed by Jean Prouvé and produced by Tecta in Germany around 1980. 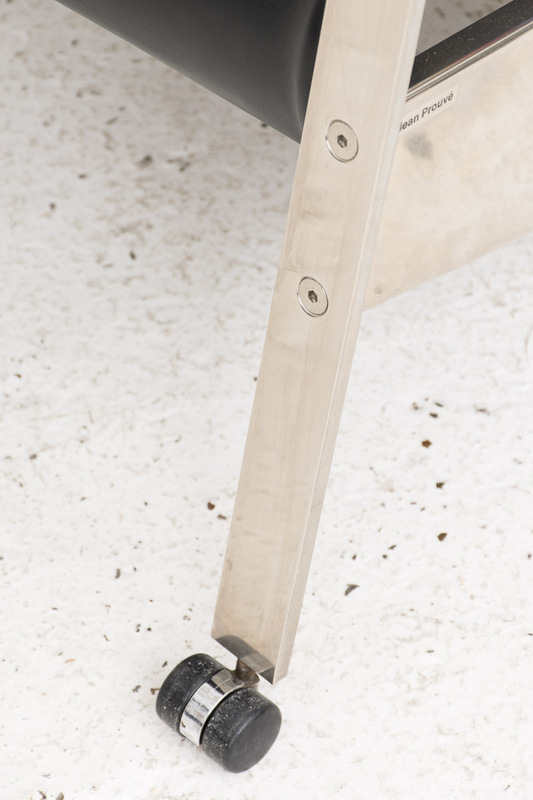 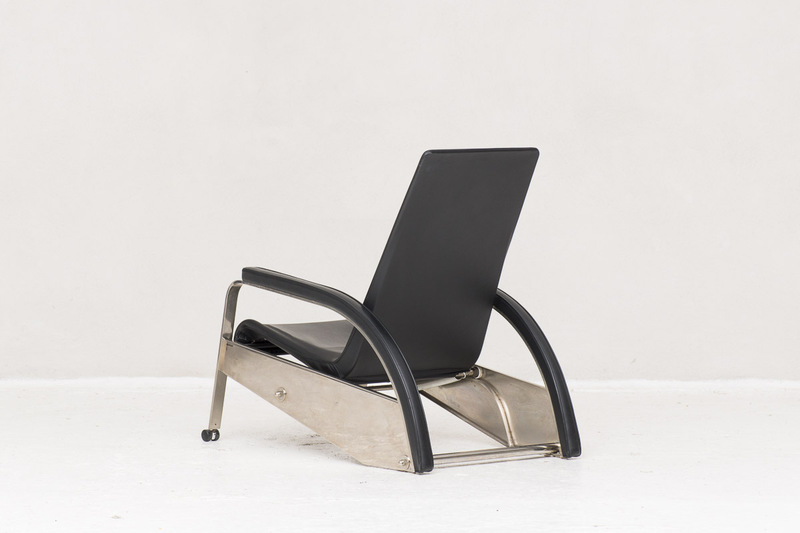 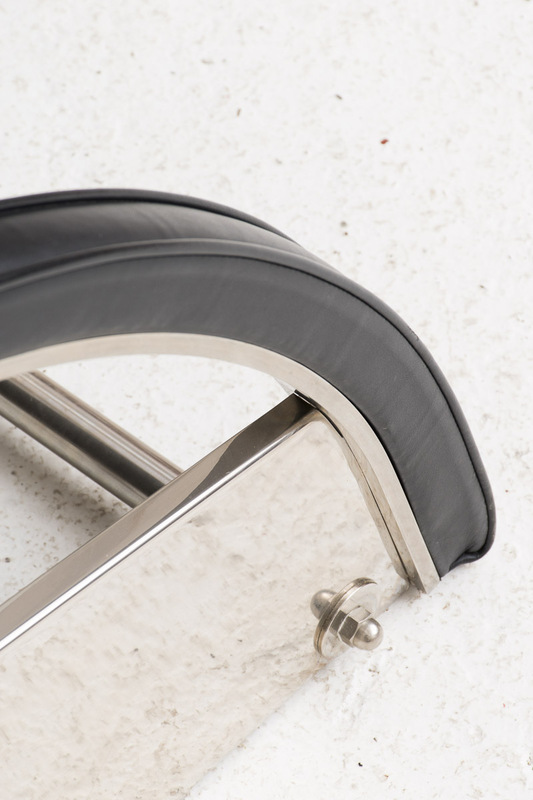 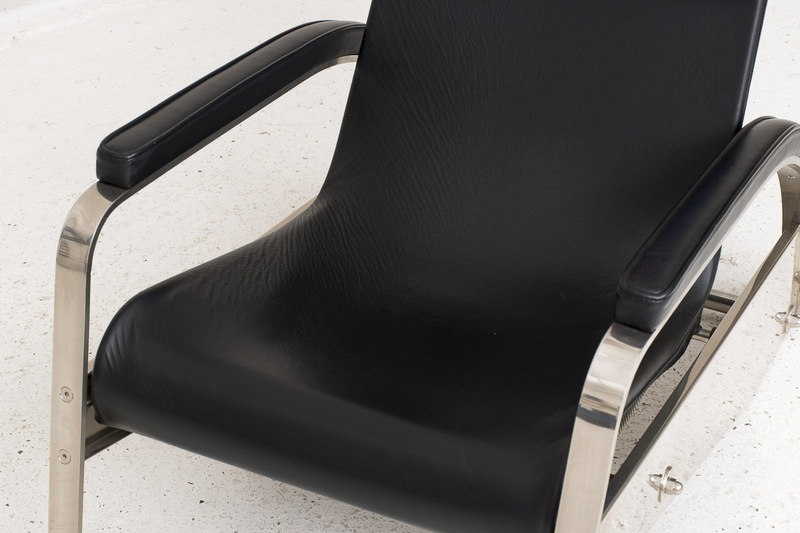 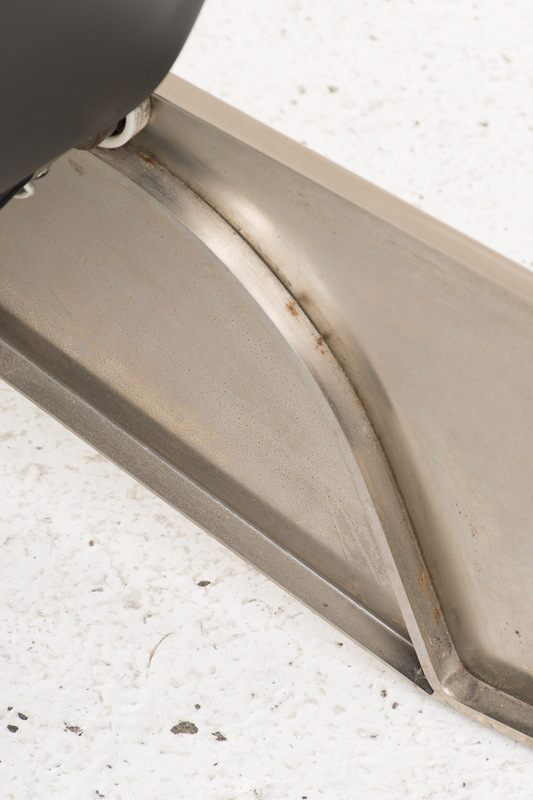 The adjustable easy lounge chair has a steel frame on castors. 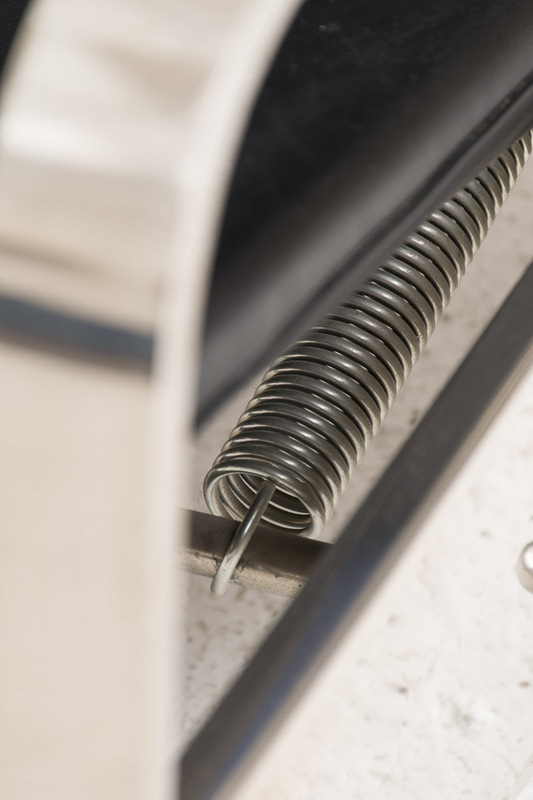 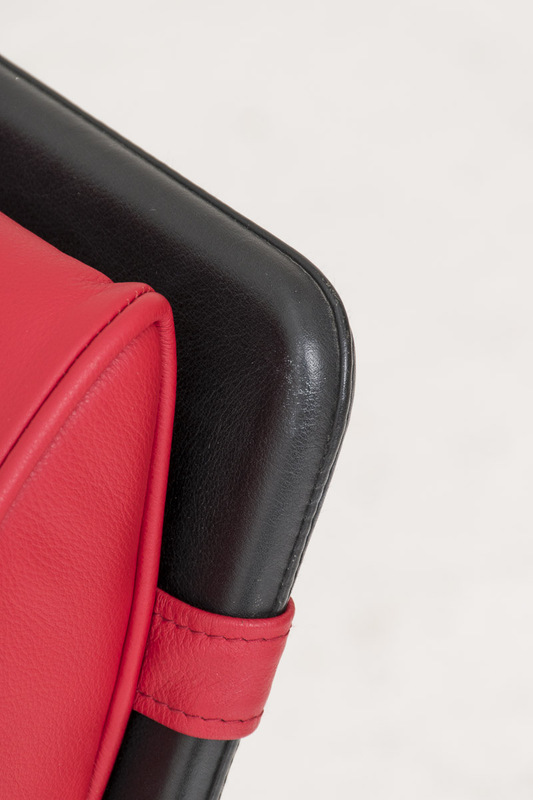 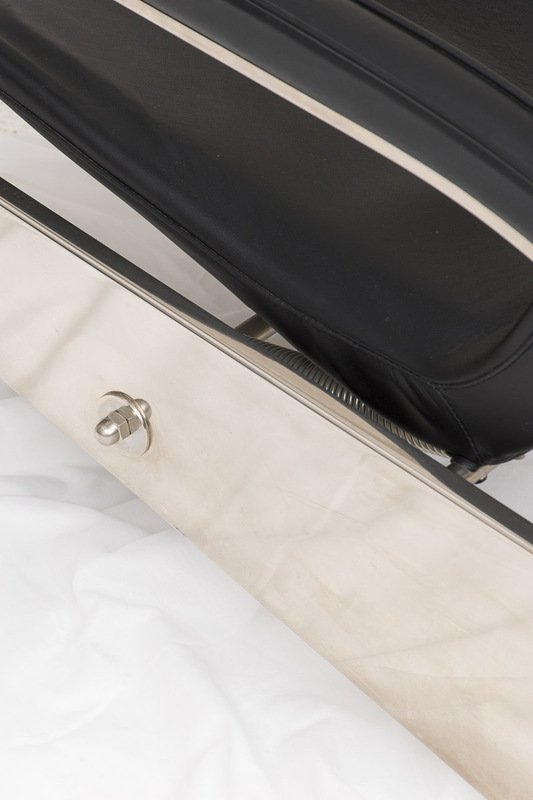 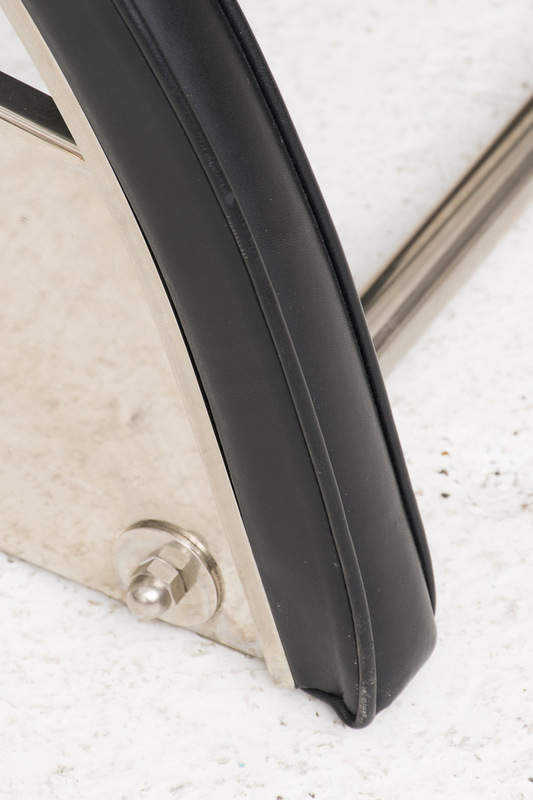 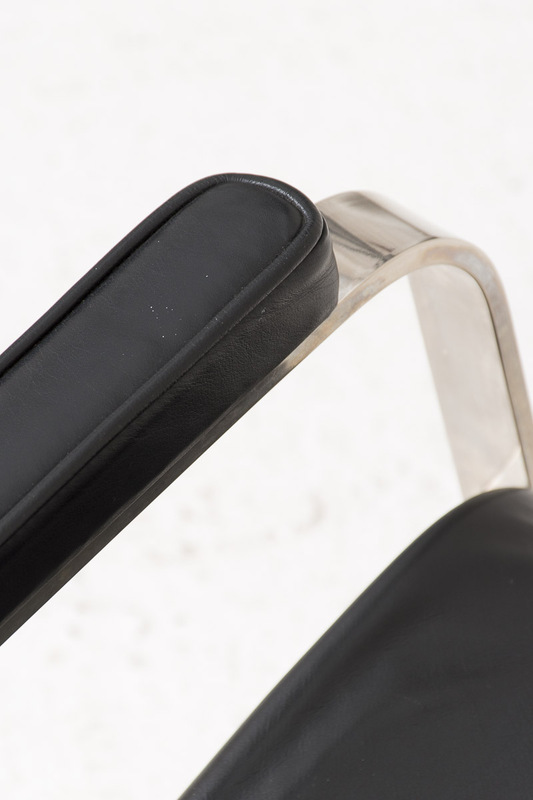 The hidden spring mechanism allows the black leather seat to be adjusted backwards. 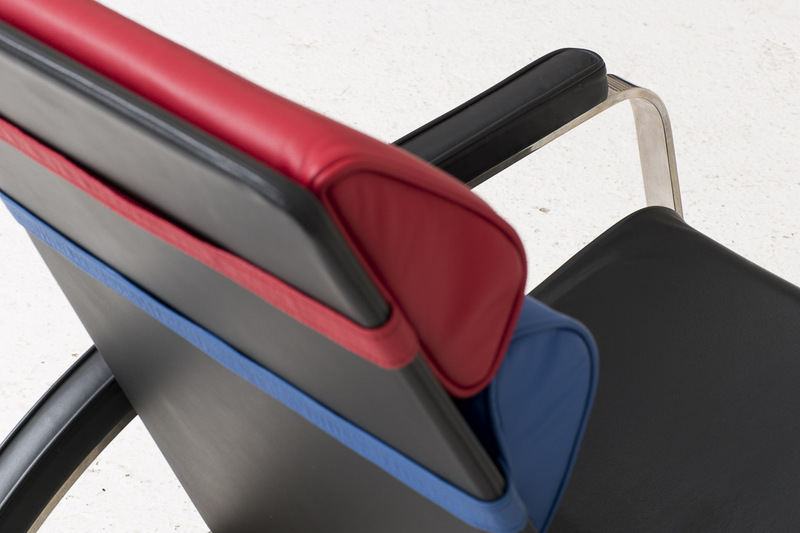 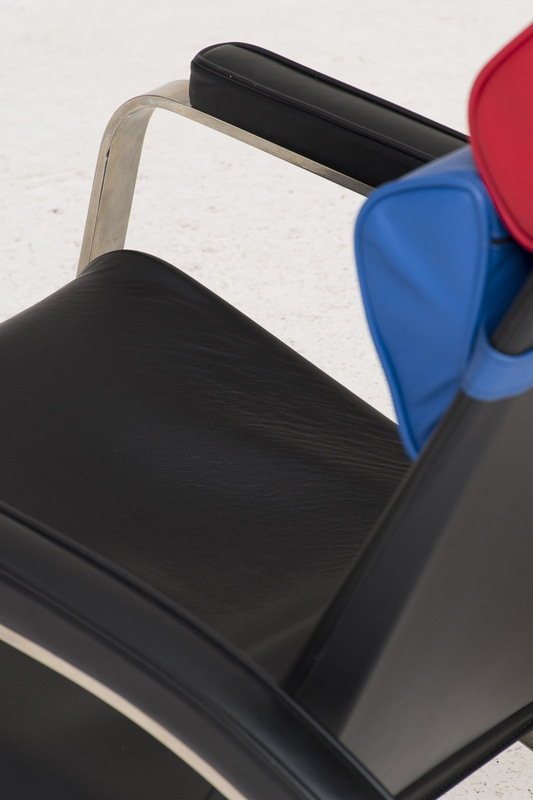 The elegantly curved arm rests and blue and red head cushions are also in leather. 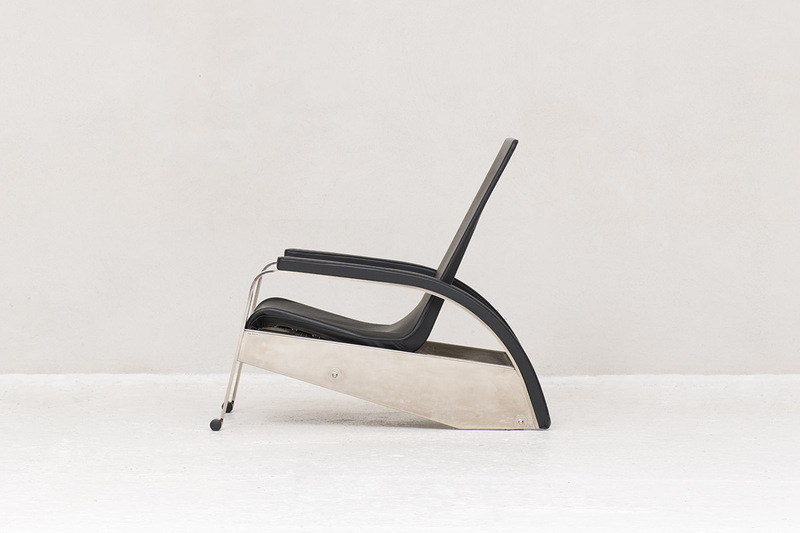 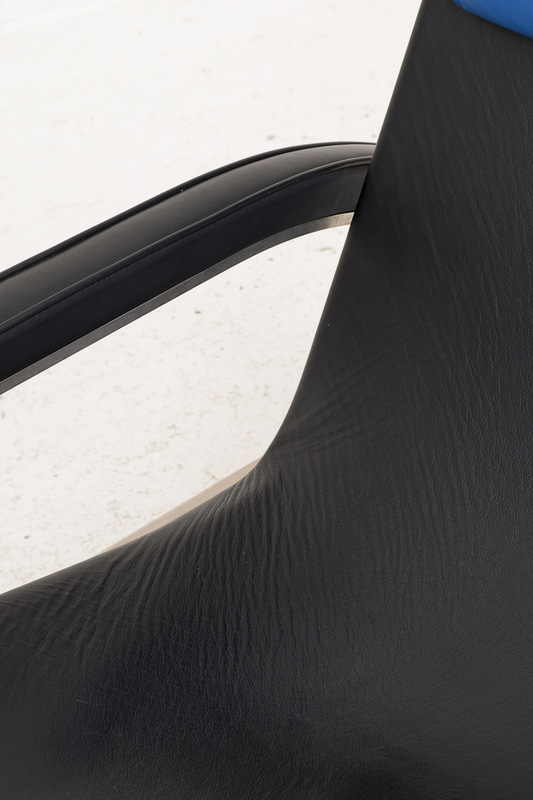 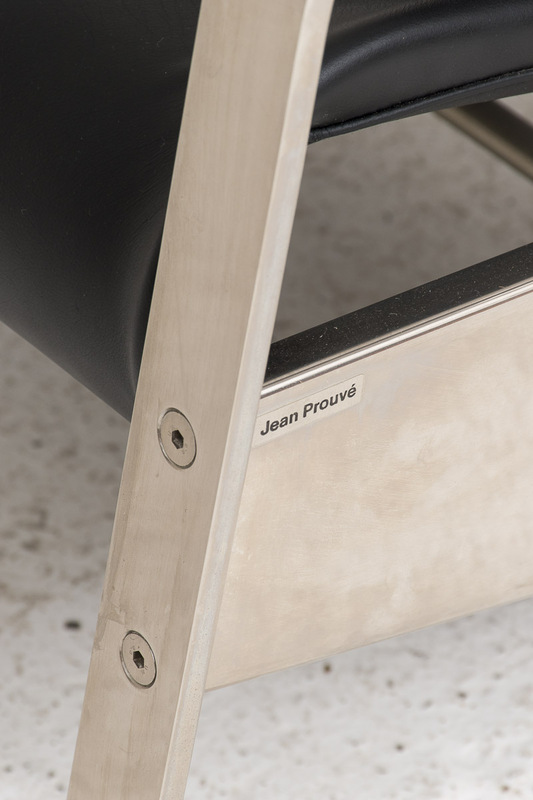 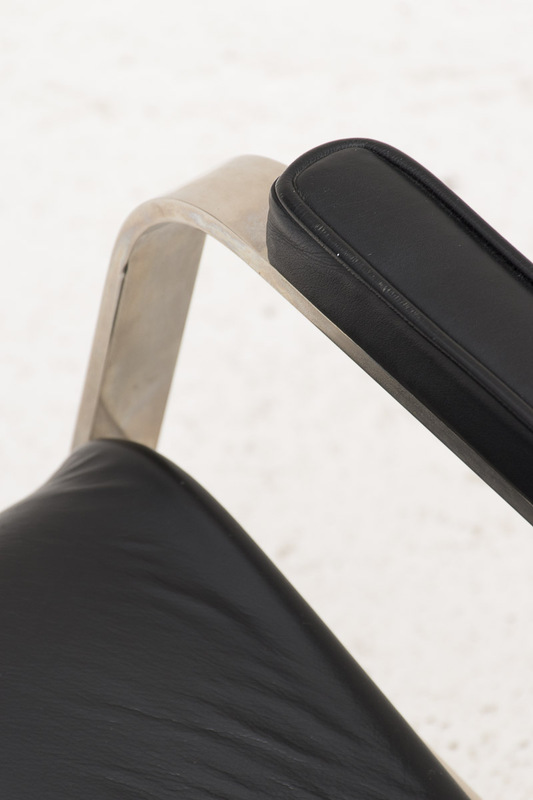 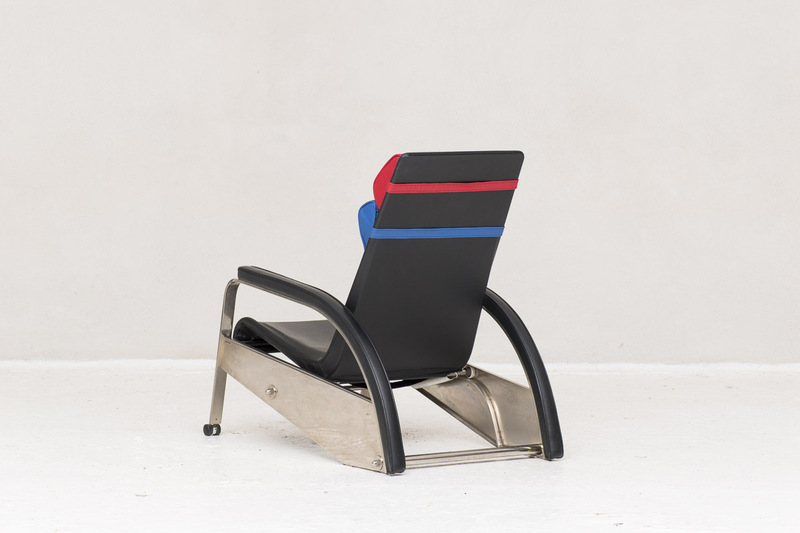 Prouvé initially designed the chair for his own use and later slightly re-designed it for Tecta. 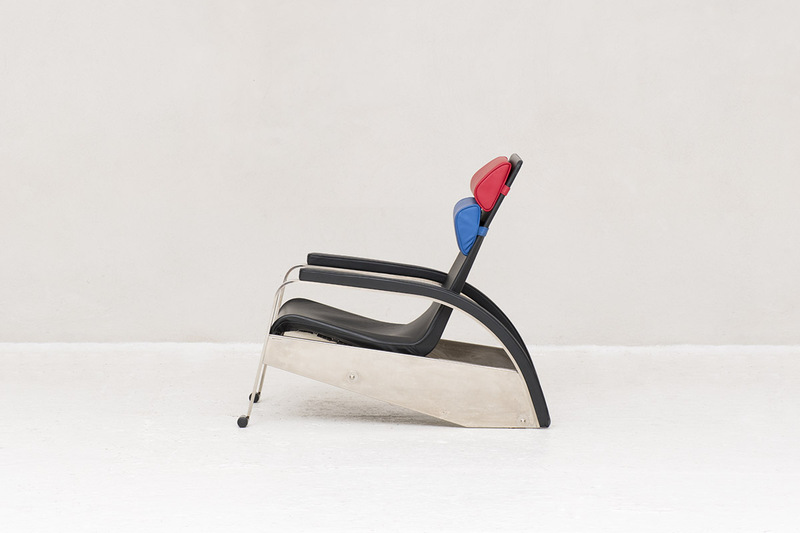 The chair carries a label on the side and is in good condition. 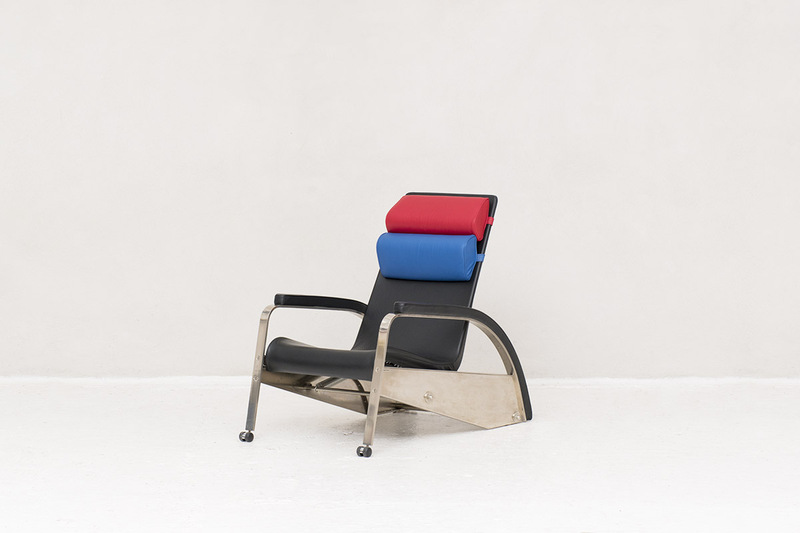 The head cushions can be used by your own taste, you can use none, one or both of them.